Exclusive! So daring! 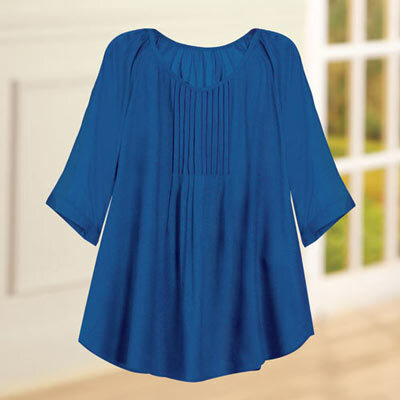 When ordinary just won't do, reach for this bold Oversized Rayon Tunic in alluring electric blue. Features shoulder gathers, scoop neckline, pintuck details and full dolman-style sleeves. Pair it with skinny jeans or shorts for a fun spring look. Rayon challis. Machine wash. Imported. Misses, approx. 29"l.